will remain as communicated earlier without any change. The decision was taken due to the instability that is reigning in the Bekaa since two years now; and the fear of not selling any tickets. Even last year, most of the audience who attended the festival were on invitation basis. Putting the committee of the Baalbeck Festival in loss, which reflected on the mediocre performers that they signed with. 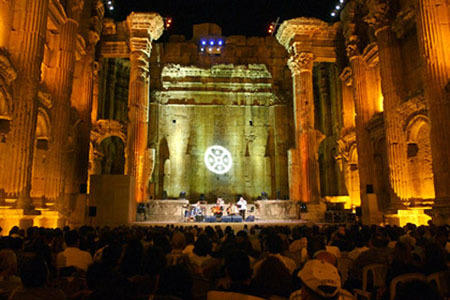 Previously, the Baalbeck Festival used to be a success due to the lack of other festivals in Lebanon. Even at that time, people hesitated before taking a 2 hours trip from Beirut to a city in the middle of the Bekaa, without any entertainment or night life. These disadvantages were offered by other successful festivals such as Byblos, Jounieh, Batroun and many others. Whereas people can enjoy having dinner or a drink on coastal and safe cities not far away from Beirut. Nevertheless, we should respect the courage behind the Baalbeck committee to move this year’s festival, and hope it returns next year to its original location. Next Article Thank You… (fill in the blank).